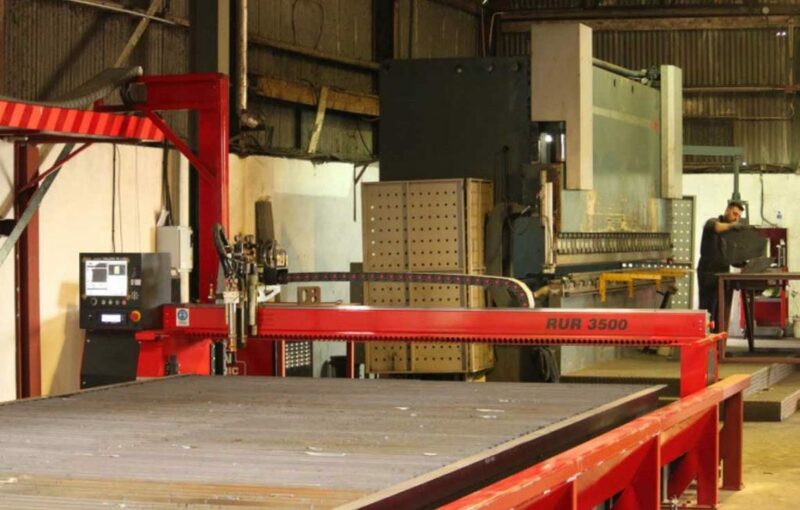 Success is Made With Kerf When Made Profiles first opened its doors for business in March 2014, the first acquisition for the sheet metal company was an RUM3500 profiling machine from Kerf Developments. Just over two years later and the fledgling Wigan subcontractor has grown exponentially, recently taking delivery of its third Kerf profiling machine, an RUR2500 high definition plasma machine. Founded by Managing Director Mr Mark Derbyshire, Made Profiles started with one man’s ambition, decades of experience and a book of industry contacts. 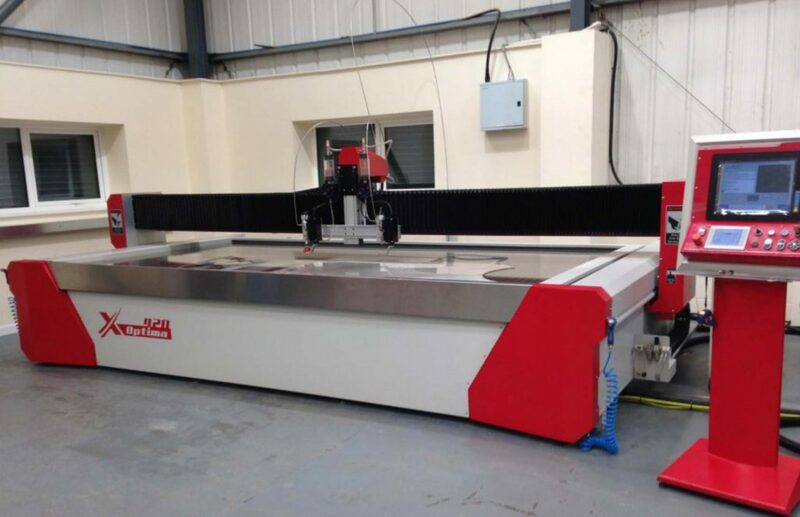 Using his expertise and business acumen, Mark initially opted for a Kerf Developments machine as he was familiar with the build quality, reliability, service and support that Kerf guarantee – all critical elements for a new business that would be reliant upon the uptime of its single machine. In the two years since its inception, Made Profiles has built its business around the reliability and productivity levels that Kerf has delivered. The first machine installed, the colossal 12m by 3m bed RUM3500 has four flame cutting heads for simultaneously profiling multiple parts up to 250mm thick. This machine also has one 150amp high definition plasma head for high speed cutting of steel profiles up to 15mm thick. Only six months after the installation, Made Profiles commissioned Kerf to extend the machine bed by 3m. 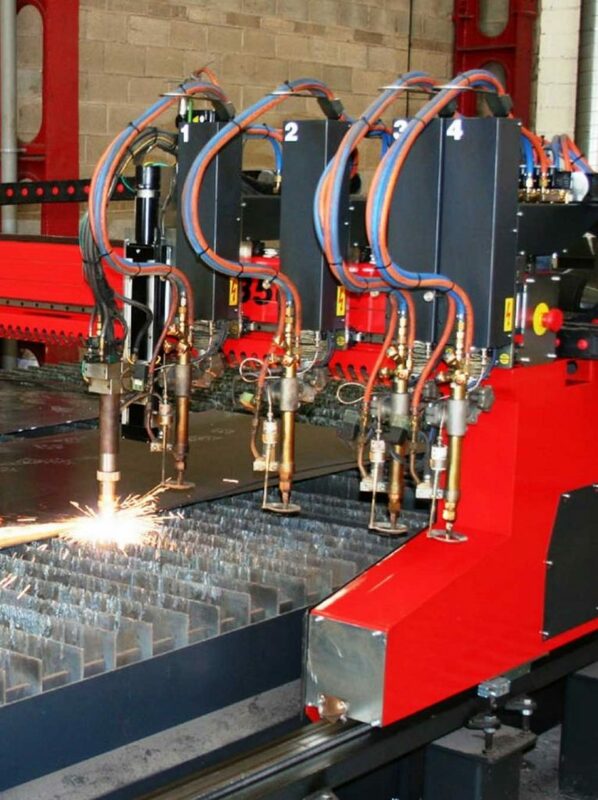 The now 15m bed received a second cutting machine with a high powered 275amp plasma cutting head for rapidly processing steel sheets up to 30mm in thickness. Supplying cut profiles for the rail, oil & gas, automotive, construction and general subcontract engineering sectors, the first two machines suitably cater for the high speed and high definition cutting of thin profiles whilst the oxy-fuel flame cutting four- head configuration provides simultaneous cutting of extremely thick steel billets. If the first two machines and the respective cutting head configurations were acquired to satisfy market demand, the arrival of the RUR2500 was specified to take the business to the next level. Already processing anything from mild steel, Hardox, Durbar and boiler plates; the biggest market growth has been cutting stainless steel profiles. 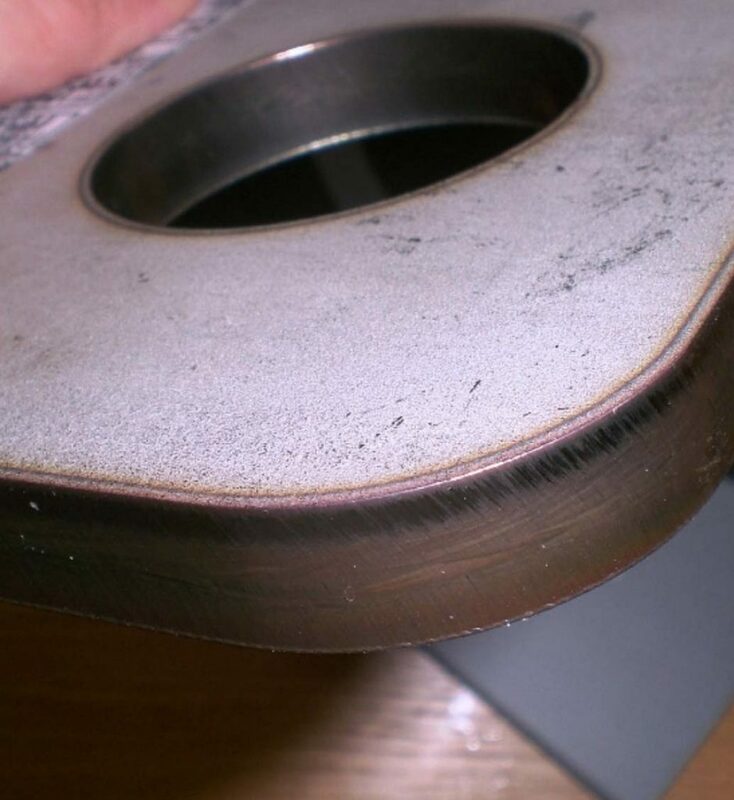 This is why the new RUR2500 machine was installed. Delivered with the UltraSharp technology for precision cutting to less than +/- 0.5mm with astounding edge finishes, the RUR2500 has been purchased specifically for cutting small stainless parts. The 150amp cutting unit is well suited for parts up to 20mm thick whilst the 4 by 2m bed has been configured by Kerf for small part production. 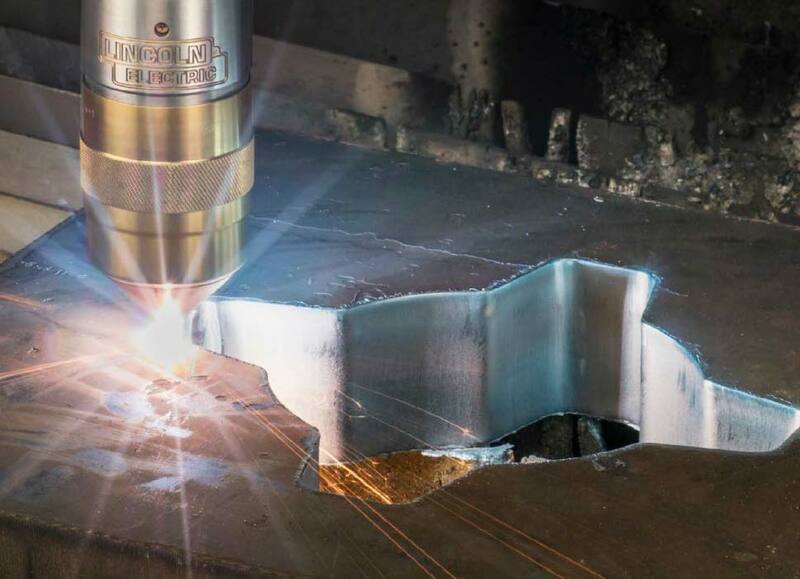 When Arcon Engineering made the trip from Ballymena to the MACH exhibition eight years ago, the fledgling company was looking for a new CNC plasma cutting machine to replace its ageing and unreliable machine. In meeting Kerf Developments at MACH 2008, Arcon found more than a machine supplier; it located a partner that could confidently serve all their sheet and metal plate cutting requirements. Formed in 2003 to cater for the complex cutting and fabricating demands of the mining, transport, utilities and heavy industry sectors, Arcon offers an extremely diverse level of services. With expertise in design, CNC profiling, welding and fabrication, press brake forming, assembly and much more, Arcon Engineering has grown at an exponential rate, now employing over 30 staff. Nowhere is this growth better demonstrated than with the CNC plasma cutting machines from Kerf. The second machine, a Kerf RUR2500GP with a Lincoln Electric Proline 200amp high definition plasma system slotted straight into the business in November 2014. Like its predecessor, the RUR2500GP has been running non-stop since installation. The company is cutting profiles from one-off and small quantities to larger batch runs from materials such as stainless and mild steel with plate thicknesses varying from 3, 4 and 5mm through to heavy duty 30 and 40mm plates. As the Irish business has expanded, it has closely reviewed its processes and more recently considered investing in a CNC laser profiling machine for high-precision cutting with impeccable edge finishes. However, upon discussing the evolving needs of the business with Kerf Developments, it was soon realised that Kerf once again had the solution. Arcon wanted to achieve extremely precise profiles with outstanding edge finishes, so Kerf took Arcon to a local company using the latest Lincoln Electric Spirit plasma unit with Ultrasharp technology to demonstrate the system. High Definition Plasma or Laser? The single head RUR3500P machine with a Lincoln Electric Spirit 400amp high definition plasma unit was installed in June 2016 and the company has been thoroughly impressed. The design and technology built into the Lincoln Electric Spirit system incorporates a water reservoir that keeps the cutting torches cool. The benefit of this technology is that torch and consumable life is extended considerably. Furthermore, the high-powered system has a lower gas consumption. The result for Arcon is a more powerful machine with significantly reduced operating and consumable costs. For a business that is sometimes running its machines 24 hours a day, the saving over the life of the machine will be huge. In fact, trials have shown that this technology uses up to 78% less plasma gas than competitor machines. 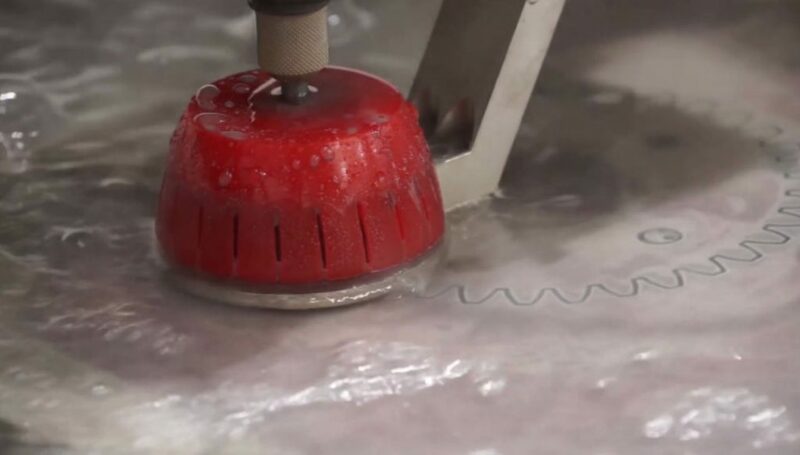 From a capability perspective, the powerful 400amp system can cut plate up to 75mm thick, which gives Arcon the potential to extend its workload beyond existing plate thicknesses. In addition, the new machine has the ability to mark components as well as cut. This allows Arcon to mark datum points, identification features and location spots for secondary alignment operations.